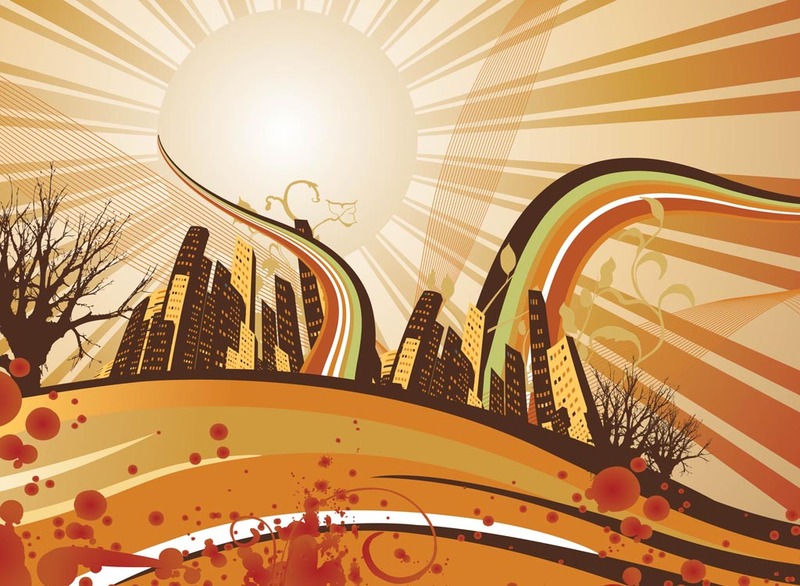 Free city vector graphics of modern skyline with office and skyscrapers, scrolls, swirls, wire frame lines, plant decoration, paint splatters and ink splots. Download skyline vector illustration for your urban design themes, business real estate, finance, property, modern living, adventure, travel and architecture graphics. Tags: Building, City, Grunge, Living, Modern, Skyline, Skyscraper, Urban.